Facebook says it has developed a laser detector that could open the airwaves to new high-speed data communications systems that don't require dedicated spectrum or licenses. The component, disclosed on Tuesday in a scientific journal, comes from the company's Connectivity Lab, which is involved in developing technology that can help spread high-speed Internet to places it currently doesn't reach. Getting Internet signals to new areas is typically done using wireless, because it's much more cost-efficient than running cables to communities outside of urban areas. But traditional wireless comes with speed limitations and requires radio spectrum that often needs to be purchased from the government. Faced with these limitations, engineers have increasingly eyed sending data from point-to-point over laser beams. They don't need any special spectrum or permission, and multiple systems can work in the same area without interfering with each other. But sending high speed signals using lasers isn't simple. First, to achieve multi-gigabit per second speeds, the photodiodes used to receive the signal need to work very fast. And that means they need to be small -- just a millimeter square, or several times smaller than a grain of rice. And laser beams spread out as they travel, so by the time they reach their destination they can cover an area much bigger than the detector itself and need to be focused using lenses. This reduces the aperture of the system, so a complex pointing and aiming system is required to keep the laser locked onto the receiver. In short, it's an engineering feat to get it working even at low speeds. Getting it to work at higher speeds it a real challenge. Now Facebook thinks it's found a way, by developing a new detector that's much larger but can still operate at high speeds. 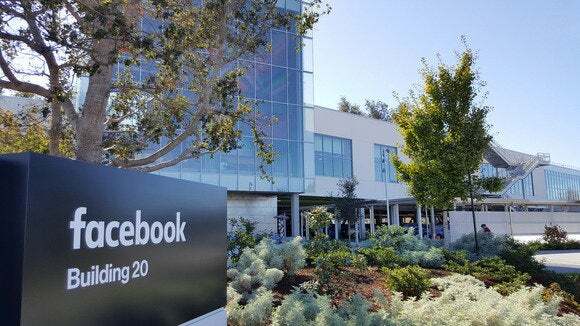 At 126 square centimeters, Facebook's new laser detector is thousands of times larger. 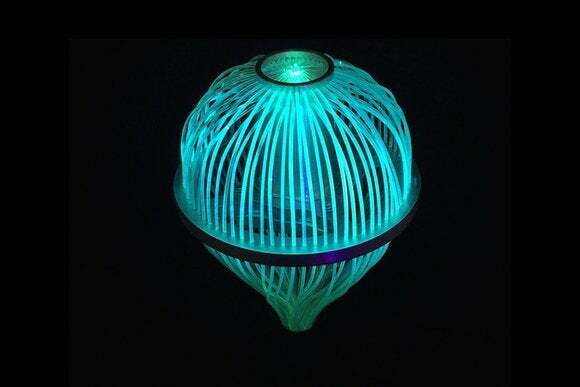 It consists of plastic optical fibers that have been "doped" so they absorb blue light. The fibers create a large flat area that serves as the detector. They luminesce, so the blue light is reemitted as green light as it travels down the fibers, which are then bundled together tightly before they meet with a photodiode. A luminescent detector with an active area of 126 square centimeters developed by Facebook's Connectivity Lab. The detector consists of a bundle of fibers doped with organic dye molecules. The fibers absorb incident blue light and emit green light, part of which is guided through the fibers to a circular bundle with a 0.2-square centimeter diameter. It's described in a paper published on Tuesday in the journal Optica. Facebook says there are applications for the technology both indoors and outdoors. Around the home, it could be used to transmit high-definition video to mobile devices. Outdoors, the same technology could be used to establish low-cost communications links of a kilometer or more in length. In tests, the company managed to achieve a speed of 2.1Gbps using the detector, and the company thinks it can go faster. By using materials that work closer to infrared, the speed could be increased. And using yet-to-be developed components that work at wavelengths invisible to the human eye, the speed could be increased even more. If invisible to humans, the power could also be increased without danger of harming someone, further increasing speed and distance. An omnidirectional luminescent detector; the sensitivity of the detector remains constant regardless of the direction of the incoming light. The company also showed a picture of an omni-directional receiver, that is sensitive to light from all directions.